After I made sure each block was positioned the correct way for the pattern, I took each block from the far right column of blocks and flipped it over onto the block just to its left so that the right sides were together. ...until the far right column was essentially turned upside down onto the column next to it. Where the raw edges come together on the right in the picture above is where my first seam is going to be. Since I wanted to start sewing this seam at the top of the column, I picked up the first pair of blocks at the top of the column and placed them onto the pair below it. Then I picked up those two pairs and placed them onto the pair below it, and so on until I had a little stack of block pairs at the bottom of the column. 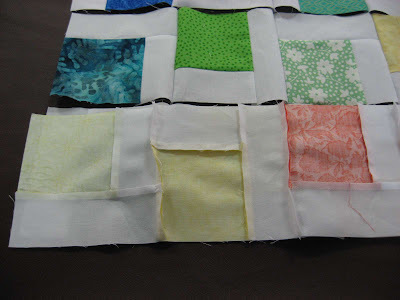 Make sure when you pick up your block pairs that you do not turn them around or over or any way. They must stay in the proper position to maintain the pattern. 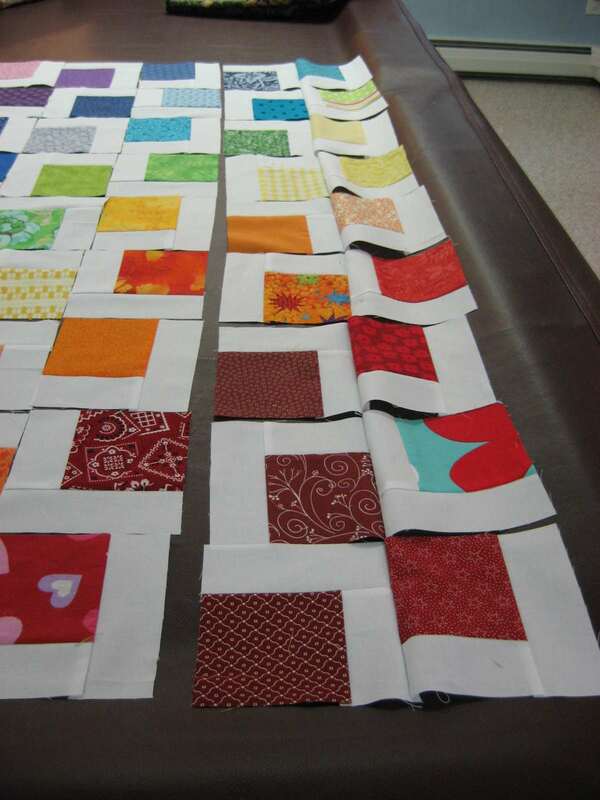 Next I took my little stack of block pairs to my sewing machine, keeping track of which side would be the seam side. 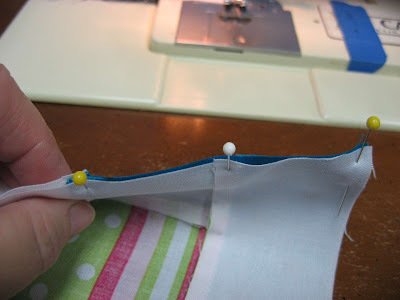 To do this, I always place my stack onto my sewing table with the seam side towards the sewing machine. This way I know which side I will be sewing. 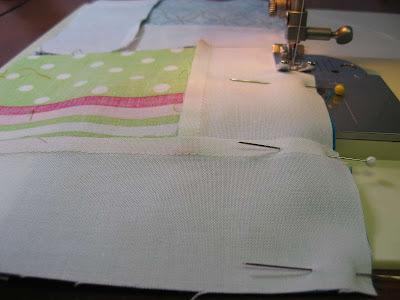 The next step is to pin each pair together on the seam side. 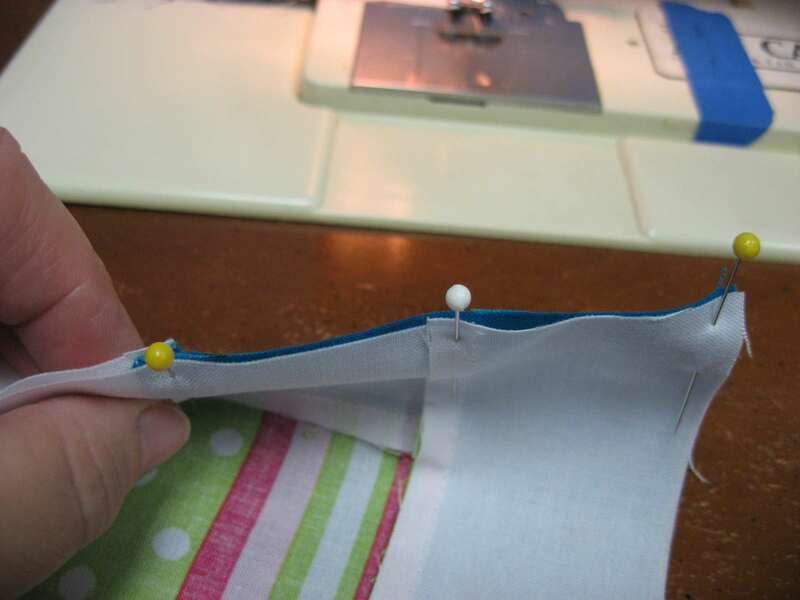 I always pin at the beginning and end of the side, and anywhere there is another seam. 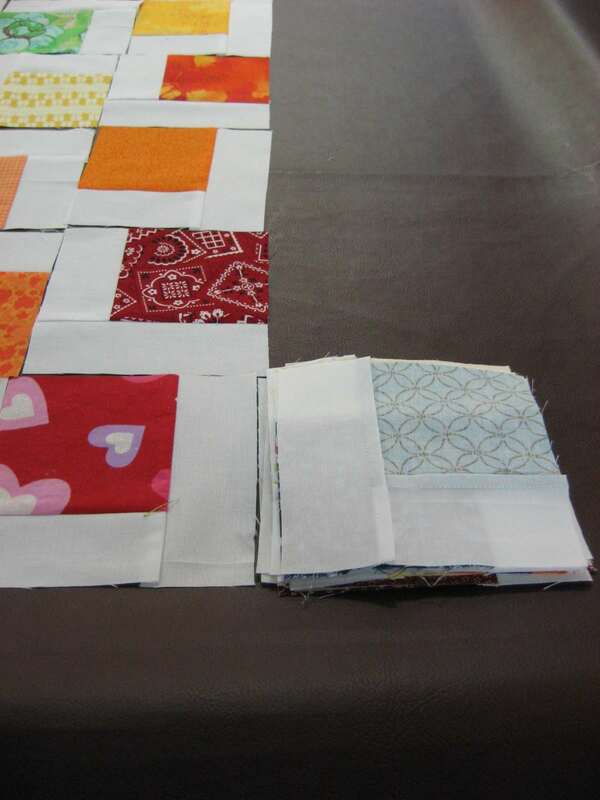 On some block pairs there will be a seam on each block, and on other block pairs there will be a seam on only one block. You'll notice this as you go along. 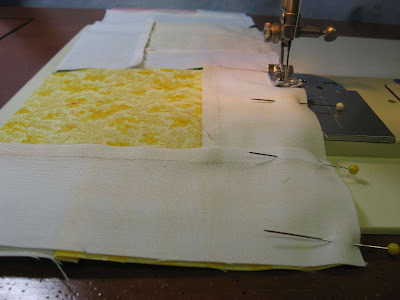 Then I stitched a quarter inch seam on that first block pair, leaving it on the machine at the end of the seam. The I picked up the next block pair and pinned it on the seam side and fed it into my machine right after the first pair. I continued this until all the block pairs were stitched together. 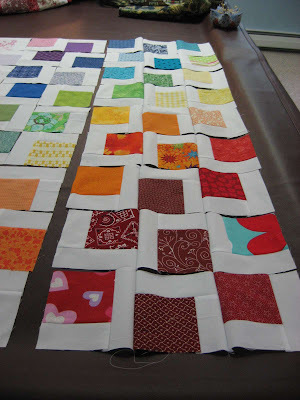 Do not cut apart the block pairs from each other, as this would defeat the purpose of chain sewing! 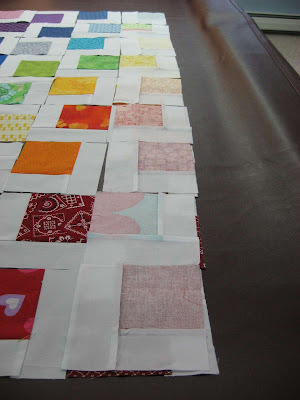 Next I brought my two columns of blocks back to my work table and laid them out again in their original position. This is a good time to double check that all the blocks are turned in the proper way to maintain the design. If one pair got turned in the process, just pick out the stitches and position it correctly and sew the seam, then place the pair back where it belongs in the column. ...and then pinned these blocks right at the work table before I moved the whole set to the sewing machine. It's much easier to keep the blocks in the correct position if they are pinned in place before moving them! It could just be that I know this from experience! ...the last one. Nothing new to do here! Just do the same thing again! 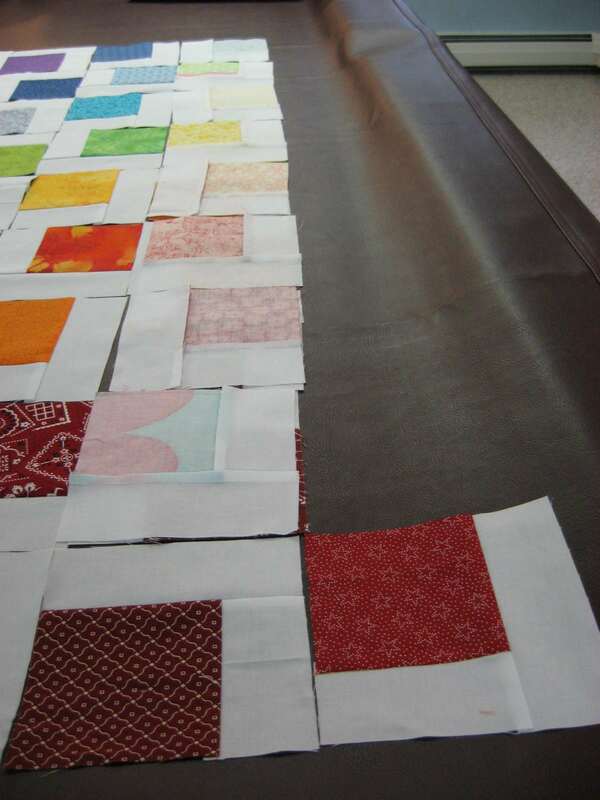 I find it easier to handle the already-chain-stitched columns if I roll them up as I go as shown in the above picture. ...then I layered it with batting and backing and did some straight line quilting, made white binding using my favorite never ending bias binding method, sewed that on and it was done! 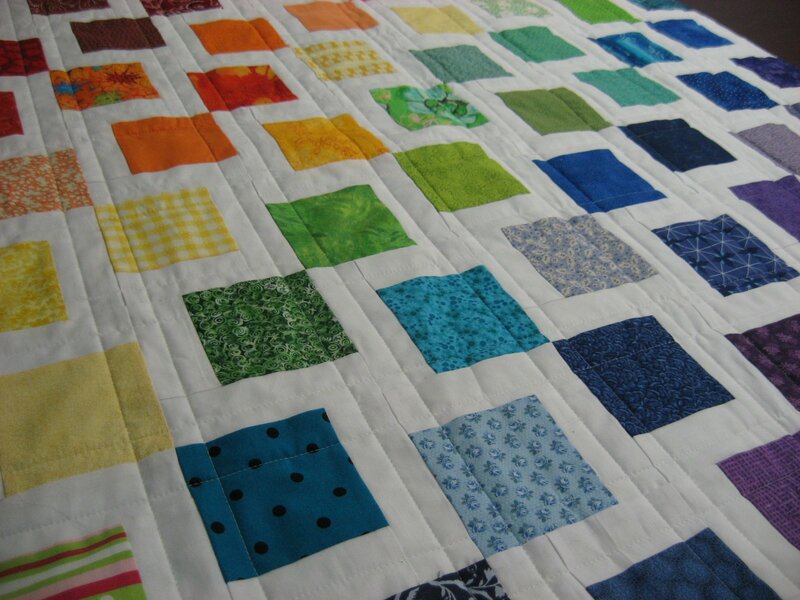 It has since been washed to give it that crinkly, quilty look and feel which is what makes a quilt so cozy. If it ever stops raining here and the sun ever comes out again, I will take some pictures of it and post it in my Etsy shop. It will be listed for $85, plus shipping. But if you would like to purchase this quilt before it hits the shop, you can just email me and pay only $80 with free shipping (US addresses only please!). I'm happy to pass the savings from not having to pay fees along to you! 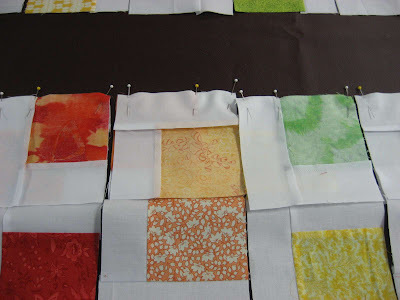 I hope this little tutorial on chain sewing proves helpful to any of you who may not have tried this method of assembling a quilt top. It really is very efficient and fun to do. I hope you try it and like it as much as I do! A very clear and precise tutorial! 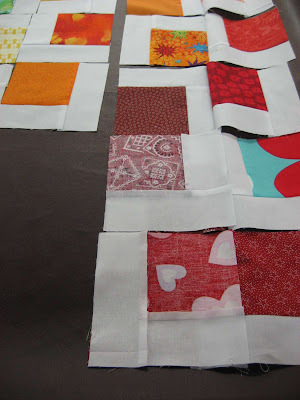 Great tutorial on chain-piecing, I'm always worried I'll mix my blocks up, but this makes it easy peasy! I love this! At first I was thinking you were doing it backwards but then I remembered I am left-handed and I am the one that does things backwards. But anyway I will have to try chain stitching next time I quilt! I like this quilt too! Looks fun! Thanks for the tutorial. Very helpful information and what a pretty quilt this is! Wow. Very helpful. Thanks for the great post. 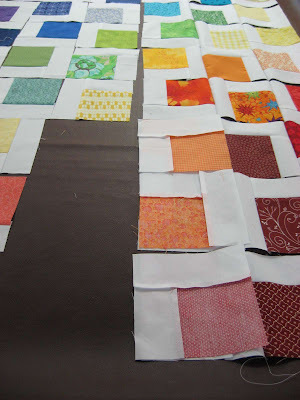 I just wanted to let you know that I used this technique in my Craftsy Block of the month and it works so great on just piecing a block. I put a link in my blog to this great tutorial. Thanks you from a want-to-be quilter. 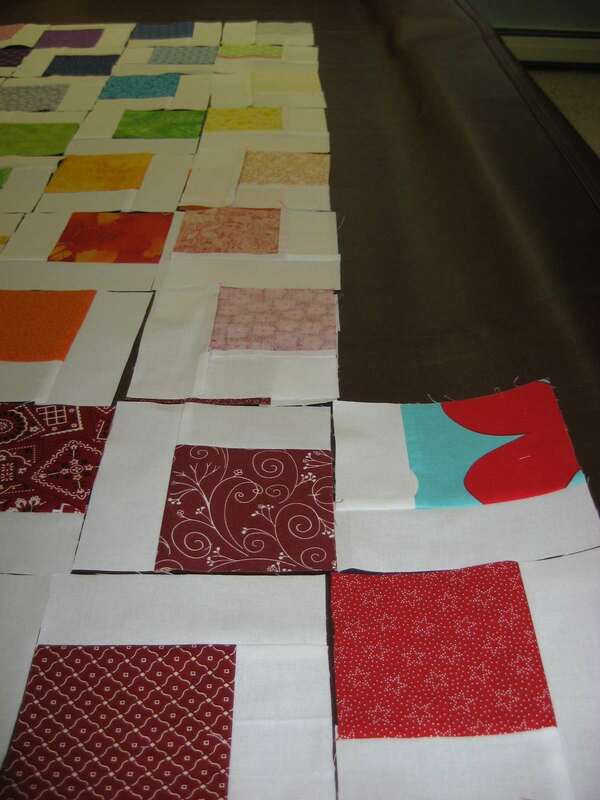 I am brand new to quilting and LOVE it!!! 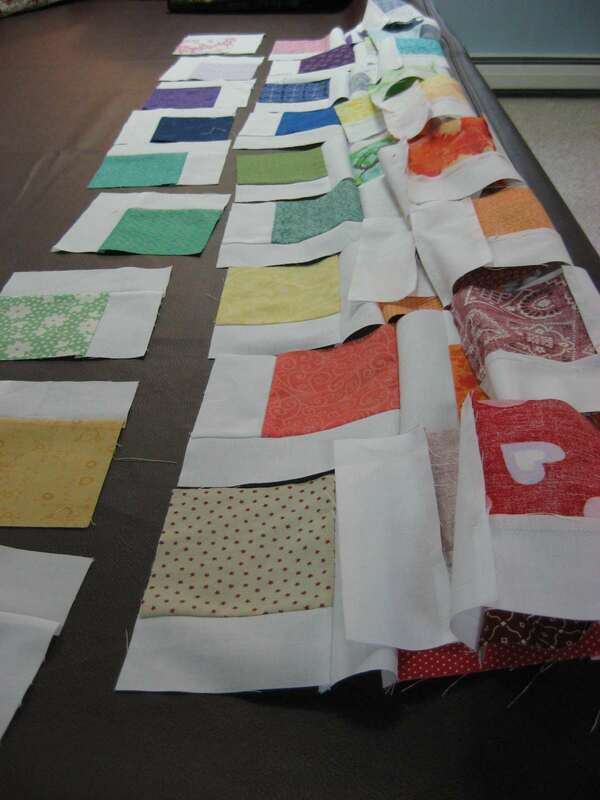 I have sewed for years...I eat sleep and actually dream of blocks and patterns. 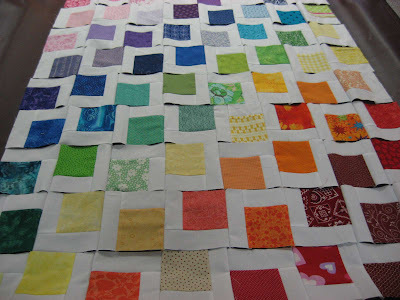 My daughter bought a package of 5" blocks at a "sale" that were all vintage material...in pinks, yellows, blues and greens...I found your web site with the rainbow quilt and was in heaven! I've pieced all the blocks together and ready for the rows...will send a pic as soon as its finished! Love your site...its been the MOST helpful!